The whiteness of shredded carrots is generally caused by enzymatic reactions after removal of natural protection during the minimal processing. Moreover, the use of chlorinated solution in sanitizing step of processing, promotes the formation of halogenated by-products, with correlated environmental and health risks in processing areas. 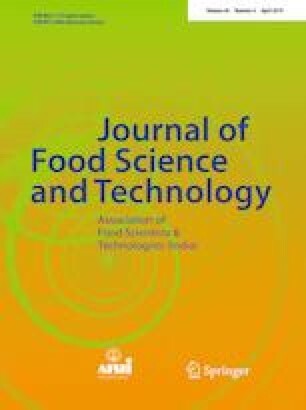 This study investigated the effect of different acidic solutions on the quality of shredded carrots during the storage at two refrigerated temperatures (4 °C and 7 °C), as alternative agents to chlorine in food industry. Carrots dipped in 1.5% citric acid solution did not present colour variation at both storage temperatures. Moreover they showed the lowest microbial charge after processing and during storage at 4 °C. Carrots dipped in 0.5% citric acid + 0.05% ascorbic acid + 0.05% calcium chloride evidenced lower PAL and POD activities during the storage respect to the other tested samples. Therefore, the dipping of shredded carrots in acidic solutions, as alternative sanitizers to chlorine, contributed to preserve their quality, also controlling the whiteness index of carrots’ surface. In particular, the dipping in 1.5% citric acid extended the shelf life of shredded carrots up to 14 days of storage at 4 °C. This work is based on research supported by the grant of MIUR (Ministry of Education, University and Research), Project PON03PE_00090_3 “Modelli sostenibili e nuove tecnologie per la valorizzazione delle filiere vegetali mediterranee”.